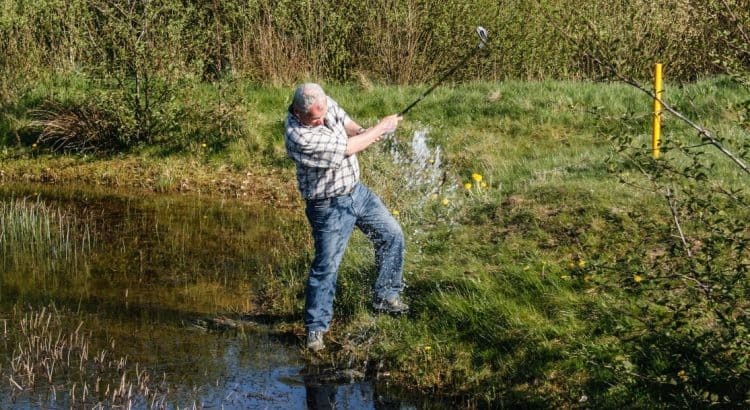 Retrieving your ball from hazards such as lakes, bushes or other hard to reach places is made much easier with a golf ball retriever. There are various types of retrievers that offer different benefits with the main task of gripping onto your golf ball. 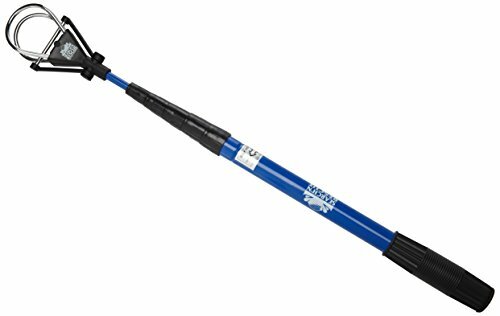 The best golf ball retriever is the I Gotcha Golf Ball Retriever that uses an adjustable shaft for easy storage inside your golf bag. It can retract to as little as 20 inches but when fully extended, it will reach to a huge 14 foot reach. The majority of golf bags will have storage or even a dedicated holder for a golf ball retriever. You never know when you will need it but when you do, you will be glad you have bought it. Many golfers may just leave their golf balls in hazards but if you have bought highly rated golf balls, you will want them back. Owning a ball retriever will save you money in the long run on golf balls alone. There is a wide variety of models to choose from with the extending golf ball retrievers being the most popular. This is solely due to the fact they can be stored easily and reach much longer lengths than those that do not. You will only really buy one or two golf ball retrievers in your golfing careers so it’s important that you get the right one. Below is a list of the best golf ball retrievers for the money that are extendable and offer high quality. The direct competitor to the I Gotcha is Callaway’s version that offers an extendable golf ball retriever with a reach of 15 foot and retracts to 45 inches. As you would expect by-products produced by Callaway, it has an ergonomic grip handle and the retriever itself is made from stainless steel. On top of this, there is a head cover with the Callaway brand included so that it doesn’t hit your golf clubs. It is on the premium scale of the pricing but you can purchase a shorter model that is almost half the price. This model had a 6-foot reach and will be able to reach the majority of golf balls located within bushes and lakes. Overall, it is the best golf ball retriever that will last a long time. If you own Callaway merchandise, it will complement the rest of your golf gear. The I Gotcha is an extendable golf ball retriever that has a 14 foot reach but retracts down to 20 inches for easy storage within your golf bag. It is made using high-quality lightweight steel and weighs just 12 oz overall. I Gotcha produce several models but the Executive XL model is the best and most popular. It is more expensive than many of its competitors but considering its size and quality, its still great value for money. Overall, its a high-quality golf ball retriever and will last many years of golfing. The longest golf ball retriever within this article is the JP Lann retriever that comes with a year warranty. It has a reach of 18 foot, which is extremely long and can come very useful for courses with many lakes. When not in use, it will retract back down to 45 inches and can be stored easily within your golf bag. 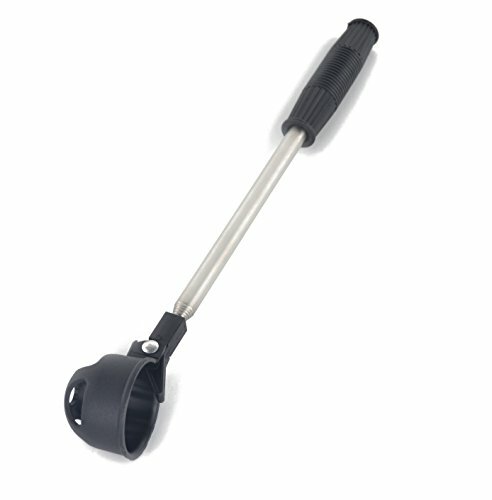 The hinged end of the retriever has been designed to easily pick up any golf balls without any hassle. Overall, it is the longest golf ball retriever you can buy and is reasonably priced. Compared with the premium models above, you feel slightly cheap but you will be paying far less. The Search And Rescue have been designed to retrieve a golf ball in a similar fashion to the Callaway model with stainless steel rings at the end of the device. It also comes with a head cover but the one thing does not have is the expensive price tag. There are two sizes available with the largest at 15 foot being the most popular and those wanting a compact model will prefer the 6.5 foot. Overall, it uses high-quality materials such as stainless steel and powder coated aluminium to create a durable golf ball retriever. 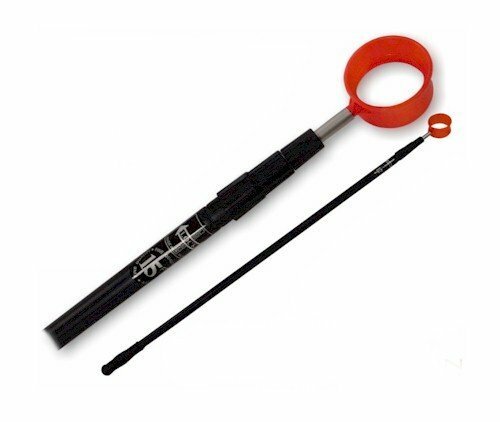 The Search and Rescue model is the best cheap golf ball retriever and great value for money. The Samyo is one of the cheapest golf ball retriever you can buy that has a stainless steel shaft which is important in terms of corrosion. It weighs just 7 oz and can reach a max reach of 6.5 foot. If you have a tight budget and just want a small golf ball retriever to store in your golf bag that you will probably use once in a month, the Samyo is the best buy. There is not much to say that its a simple design and is the cheapest within this article. It’s fairly obvious that the golf ball retriever you choose will need to be durable and be made to a high standard. They will be used to fetch golf balls from tricky situations such as bushes and the salty lakes that are often found on golf courses. The majority of premium models will include stainless steel because it will not rust when being dipped into the lakes. But this steel is also very durable and can withstand various knocks and scratches. 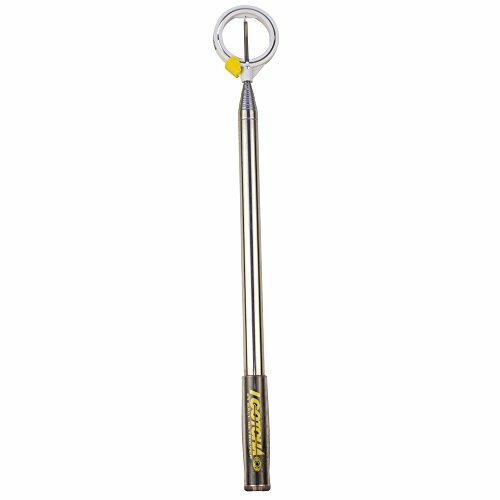 There are many types of heads of the golf ball retriever that include ring, rake, spring, extendable, hideaway, cupped and teardrop. The extendable are the best golf ball retriever to buy because they can reach further distances and are retractable to fit inside your golf bag. The best extendable golf ball retrievers to buy are the I Gotcha or the Callaway with both offering serious quality. They both retract and offer huge reach to grab the majority of golf balls from all sorts of hazards. My concern is my last two retrievers, after some use, extend in all sections too freely or begin to bend instead of maintaining straightness. Suggestions welcome.